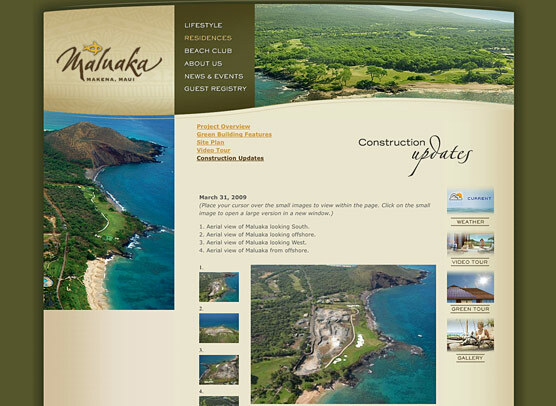 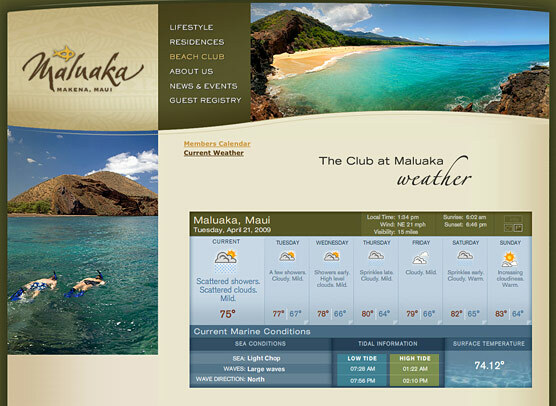 Maluaka was designed as the premier private oceanfront community in Hawaii overlooking the 18th Hole of the Makena South Course and one of Maui’s most pristine beaches. 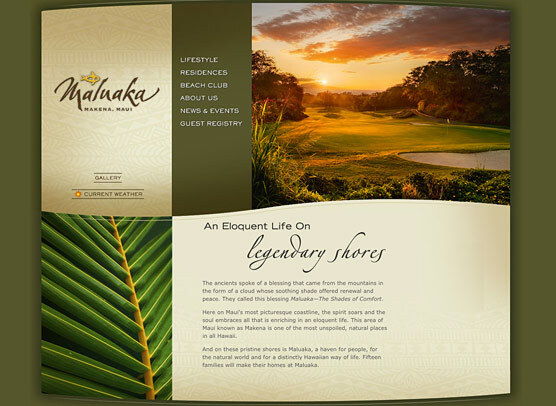 A mix of condominium residences with three detached homes and a magnificent clubhouse perched over the 18th green, Maluaka was designed as green development seeking the highest in LEED Certifications. 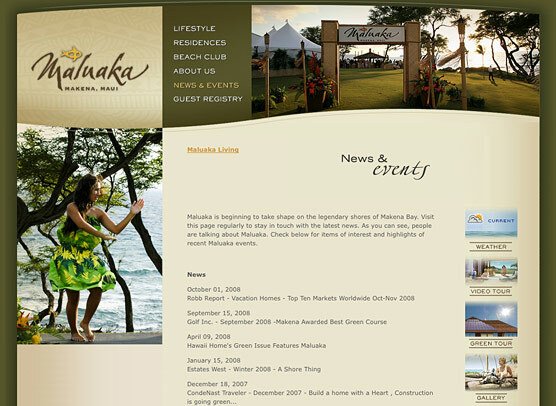 Etainia designed and built the website, custom weather, Green Home tours and facilitated the 3D video presentations that really brought the futuer community to life.